Our industry-leading products and services coupled with competitive affiliate pay rates - starting at 30% - make promoting MOJO a no-brainer! It’s simple; promote MOJO, then get paid! The goal of the MOJO Affiliate program is simple: Promote items and make you money! There are a few key ways to do this, and we’ll be sure to go over them. First, let’s take a look at how to become an affiliate and get things set up. Inside your account center, you will see a section on the bottom left called Affiliate Program. Click the Activate Affiliate Account button. A confirmation that your account is setup will apprear. Next, click on “Statistics”. This will show you your affiliate tracking code to be used for tracking your leads and sales. From within your affiliate account, you will get access to daily and monthly reporting as well as get all your tracking link information. HINT: The most successful banners are typically placed at the top of your site, or in the sidebar of your most popular posts or content. Look for strategic locations that will catch the eye of your users. If you’re comfortable working with our API we’ve got you covered! We have great documentation on how to display just about any product or set of products from the Marketplace. For example, you could get a JSON response that displays the latest WordPress themes, or the 10 most popular Joomla themes. The options are open and the choice is yours! question_answerWhat if I’m already an affiliate at MOJO Themes?That’s awesome! 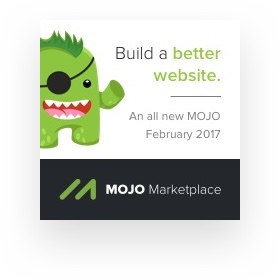 MOJO Marketplace is actually a different site though and the tracking code for the leads and sales you generate will be tracked a little differently. 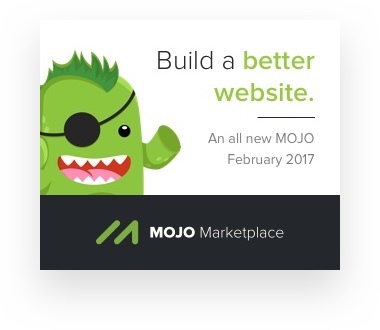 You’ll need to create a new affiliate account with MOJOMarketplace.com to get things up and running. question_answerHow does your payment system work? At the end of every month, we will take all the referral sales you made and pay you on the 15th of the next month (NET 15). It is important to note, once you have activated your affiliate account, you need to input your PayPal email address so we know where to pay you. All withdrawal requests that are paid out on the 15th must be made before the 1st of the month. We recommend that our affiliates make that withdrawal request on the last few days of the month so you don’t have to wait an entire month and you will have the most funds in your account for that pay period. You will be paid on the 15th of next month after this request.